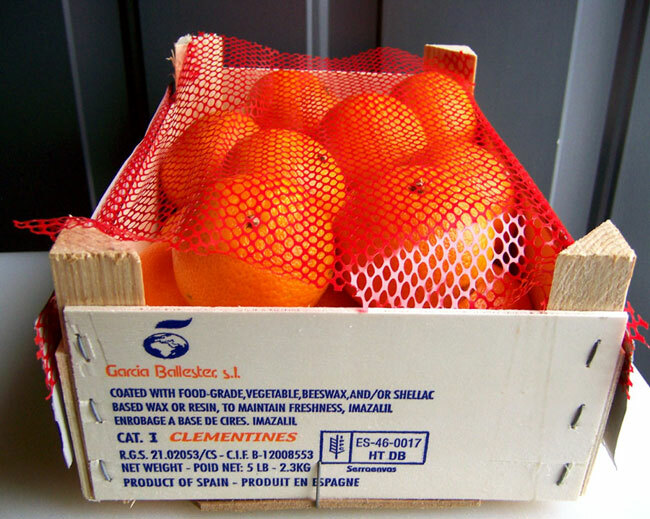 With winter weather in full swing you know it is that time of year to begin seeing Clementines arriving from Spain and Morocco. But when you receive these citrus fruits in their wooden lugs do you understand what U.S. Grade Standard should be applied? There is no U.S. Grade Standard for Clementines, so what would you use as a guideline? Clementines are a variety of a mandarin orange. Clementines separate easily into seven to fourteen juicy segments. They are very easy to peel, like a Tangerine but are almost always seedless. Clementines are, thus, also known as seedless tangerines. Although a clementine is actually a mandarin orange, but has the characteristics of a tangerine, the USDA has determined to use the U.S. Grade Standards for Tangerines when inspecting clementines. Typically you will find the crates or mesh bags printed with “Cat 1” denoting a Category 1 Grade. Follow the requirements of the U.S. No. 1 Grade in the tangerine standard during your inspection. Aside from decay, which usually is found affecting the stem end, you could encounter skin breakdown or oil spots. The standard only allows a small area of 1/4 inch for skin breakdown, before scoring it as a grade defect. 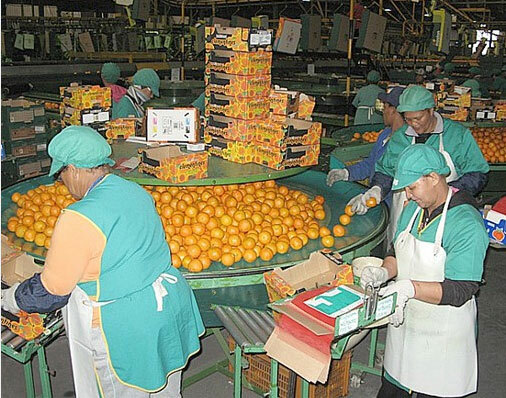 Many quality packing houses implement strict measures of quality control, keeping defective clementines to a minimum; but remember there are no minimum import requirements for clementines entering the United States. In other words, no one is inspecting them as they arrive in the United States. Condition defects could develop in transit from Europe and Northern Africa. The U.S. Grade Standard allows not more than 3% decayed clementines. Depending on the count per crate, if you average 1 decayed clementine per container it most likely will exceed the tolerance allowed for a U.S. No. 1 (Cat 1) clementine.